Florida singles are a special breed of people. If you're single, it's high time to start exploring your Sunshine State options. Learn 16 reasons why dating Florida singles is the next hottest thing. The "Sunshine State" isn't an ironic nickname. In Florida, you don't have to be a beachcomber to get that flattering sun-kissed glow, because it's impossible to avoid the sun's warm embrace. Most single Floridians look like they just got back from a cruise, and thanks to liberal dress codes in many workplaces, weird tan lines aren't a problem either. If you don't associate Florida with beaches, theme parks, or idyllic retirement communities, you probably associate it with weird news stories. Don't worry; it's a running joke for locals, too. "Only in Florida" is a common refrain, and if you date someone from Florida, they'll have a weird anecdote to fill every awkward silence. Floridians don't get stressed about the small stuff. When it rains during an outdoor event, they know to wait it out because the sun will come back out soon enough. Flip-flops, shorts, and tank tops aren't reserved for weekends in Florida. When you're online dating Florida singles, you're guaranteed to find plenty of laid-back candidates. 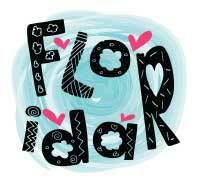 If you're interested in dating a Floridian, you don't have to settle for the first person you meet. Florida's cities are full of young locals, and they don't hide indoors all day. It's easy to make friends, and that goes for friends with benefits, too. It's hard to be high-strung when every day is sunny and warm, even in the middle of winter. Florida has more in common with California than Alabama, but it's still a southern state with plenty of old-fashioned southern hospitality to go around. Meaning they are very warm and welcoming people. Even if your Florida friend doesn't live in a beach town, there's always a beach less than two hours away, and they probably know a secret spot that tourists haven't discovered yet. Floridians know which public access spots are tucked between mansions, where to spot dolphins, and anything else you'll need for a great day at a beautiful beach. Spring breakers flock to Florida from every state in the country, but the party never ends for Florida residents who want to have a good time. Big universities, beautiful beaches, theme parks, bars, and pools are always full of young singles who are ready to party. In Florida, you don't have to wait until summer to see single guys shirtless – or hit the beach to find a girl in a swimsuit or low-cut sun dress. Thanks to the state's high temperatures and constant humidity, it's just not practical to cover up. Florida has many claims to fame, but Disney World is definitely one of the biggest. When you date people from Florida, you get to take advantage of Florida resident discounts everywhere you go. If Mickey Mouse isn't your thing, there's also Universal Studios, Busch Gardens, Sea World, LEGOLAND, and dozens of huge water parks and aquariums. If you just met a Florida girl or guy on EliteSingles, they probably have a pool they can use whenever they want. Most apartment and condominium complexes have at least one outdoor pool, and if you date a Floridian homeowner who doesn't have a pool, they probably have plenty of neighbors and friends who do. Florida is full of beaches, lakes, swamps, forests, and other backdrops for rugged outdoor adventures. If you're interested in swimming, camping, boating, fishing, or any other outdoor activity, you'll find plenty of kindred spirits in Florida. They'll even know which snakes and spiders are poisonous, how to lose an alligator or black bear, and what time to get out of the ocean to avoid shark attacks. Florida's weather is reliably romantic. Every sunset stains the sky with gorgeous colors, light rain is a daily occurrence, and the population is so sprawled out that it's easy to see the stars at night. If you want to share a sunset kiss or dance in the rain together, it's easy to make it happen. The things that scare most people are just part of daily life for Florida residents. If there's a hurricane on its way, Floridians don't panic; they just fill the tub with water and grab the battery-powered radio. If there's a huge spider on the ceiling, they leave it alone to keep mosquitoes and flies at bay. Whether you want to feel safe in someone's arms or find a partner to go on wild adventures, Florida is a good place to look. Florida has it all: first-generation immigrants, orange juice and cattle magnates, single professionals, retirees from around the world, and many other demographics along the class spectrum. With such a wide variety of professions and backgrounds, people don't let their income levels define them. If you're a diehard sports fan, you've probably combed Zoosk for other singles who like sports… only to realize they cheer for your favorite team's biggest rivals. 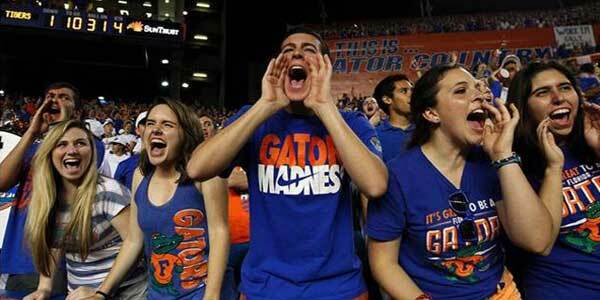 When you date Floridians, rivalries aren't usually a problem, however don’t expect them to hide their intense love for their favorite team! If a young Floridian didn't move here from another state, they've definitely gone on their fair share of road trips. Either way, they've stepped outside their comfort zone to experience different lifestyles and landscapes. So, are you ready to start fishing in the Florida dating pool? Sign up for match.com now to find out for yourself why Floridian singles are the very best kind.